As time goes by and taxpayers see less and less personal benefit from the bank bailouts, tensions are on the rise. People are starting to ask more and more questions. People are starting to question what caused all the problems we are facing today. People are wondering if there is another way, a better way. What caused the current credit crisis? Did banks overextend credit and employ substandard lending practices? Did individuals get carried away and accept more credit than they should have accepted? Maybe we just plain lost our way and let our abundance get the better of us across the board. Regardless of cause, many feel the financial sector is hanging them out to dry. While taxpayers bailout failing financial institutions with their paychecks, banks have been raking them over the coals in preparation for the CARD Act of 2009. So much so that our elected officials are stepping in to bump of the date of its passing. Has the credit crisis changed the rules we have to play by? Has it changed the rules we have to live by? Are we as individuals personally responsible for our behavior today? Many contend that, over the last few decades, our principles have deteriorated. Is this same general lack of personal responsibility spilling over into business, resulting in corruption… Or has it always been this way? What about the banks? Banks have received a tremendous amount of bailout money, but have done little to help restart the economy. Instead, they’ve been holding the money and posting huge quarterly profits. As more and more homes go into foreclosure, their profits increase. Is some of this bailout money filtering back down to the taxpayers? Not really. As banks profited, loans dropped. Have they refunded the bailout money with all of these profits? Not entirely. Some banks have refunded in full, some have refunded in part, and others have not refunded at all. Here is a great resource to help you track which banks have refunded and which have not. Personally, I’m amazed at what’s happening. The public has been called upon to fund the unprecedented bailouts of private industry and maintain high levels of consumption to sustain the economy, all while being asked to live with ever-increasing credit card rates, fees, and an inability to refinance troubled mortgages. As far as I’m concerned, the banking industry must be absolutely brilliant to have pulled this off. I am truly in awe as I watch all of this unfold before my eyes. Banks have definitely not been making friendly with the American public, and people have just been taking it. Perhaps the American public is finally be ready for a change! Given all the unfriendly changes in the credit card world, what about living without credit cards altogether? Can we possibly do it? People are resilient. I think you’d be surprised by what you could do if you absolutely had to. If things spiral downward, and we find ourselves facing a devalued dollar and ever-increasing unemployment, how would we react? My best guess is that most of us would react just like folks did back in the 1930s. We’d band together and do what needs to be done to get by. And perhaps most importantly, we’d start living within our means. So why put some pressure on ourselves and take those steps regardless? I think this pressure is good for us. There are many examples in nature where pressure provides us with a precious bounty. Coal left under pressure gives us diamonds. When certain fruits are exposed to pressure they yield precious oils. And history shows us how pressure and fear of failure are some of the best motivators in the financial matters of both businesses and individuals. And since we (as individuals) aren’t going to a bailout… Let’s focus on bailing ourselves out! Are you borrowing for wants or needs? Did you need that 2, 500 square foot house, or could you have made due with 1, 500 and a much lower mortgage payment? Did you need that brand new Chevy Silverado, or should you have gone with a 3 year old truck in solid shape? Did you need that Jet Ski? How about that new 50″ plasma HDTV? If you truly need to borrow money, then borrow it… I’m just asking you to reevaluate your needs against your wants. Reduce your available credit. How much credit do you have at your disposal? And how much do we really need? Get a free credit report from AnnualCreditReport.com. Next, go through your report(s) and figure out your total credit limits. I’m betting you’ll be surprised by the high amounts. If you cannot stop using credit, or just plain don’t want to, try cutting back to just one or two cards. Do you really need more than that? Change the way you think. If I asked how you would buy a car, most would answer, “Get a loan.” If I asked how you would buy a house, most would answer, “Get a mortgage.” What about TVs? What about furniture? What about college? Loans. Loans. Loans. Why do we automatically think we have to borrow money to buy things? Is this a trained response? We need to reduce our standard of living so we can get out of debt and save for future purchases… Then pay cash. Change the way you think. Start today. Reduce your standard of living. Live below your means. Spend less than you earn. You may be sick of hearing these phrases, but they work. Maybe it’s time we start living them. Doing so will eventually allow us to save pay down debt and save. Pay down debt. Once you’ve brought your standard of living back into check, follow through on that spirit of discipline by paying off your existing debt. Doing so will empower you. Don’t believe me? Try it out for yourself. Save Money. Now that you’re spending less than you’re earning and paying off debt, you’ll be able to save more money for future purchases. Pretty soon, paying cash for your next car will be a reality. Remember, by saving money, you reduce your risk. The more money you have saved, the better buffer you have against emergencies… Which means you’ll no longer need a credit card for an emergency! Use your debit card. If you are used to using your credit card for everyday purchases, start using your debit card instead. I promise that you’ll hardly notice a difference, but you’ll become more deliberate in your spending. Many will argue the superiority of credit over debit for reasons like purchase coverage and rewards. In my experience, however, these things hardly make a difference in everyday life. In light of the pros and cons of each, I would choose debit every time. Pay cash. Now that you’ve saved up some money, start using. Paying in cash has been linked to reduced spending rates. In fact, it’s argued that handing over cash actually elicits brain function that mimics pain. Paying with cash will also give you better deals when you go to purchase goods and services. For example, medical bills paid with cash can often be reduced because it eliminates the practitioner’s need to file an insurance claim or pay credit processing fees. Also… When you spend cash, you can only spend what you have! Remember… If you don’t agree with industry and/or business practices, your best course of action is often to simply stop using their products. The same is true for the financial industry. Reevaluate your priorities, change the way you think, pay down debt, save your money, and start using cash and/or debit for more of your purchases. You have a voice, don’t be afraid to use it! No one makes changes for us… We must make them for ourselves, and go from there. The answer is yes, you can I have done it all my adult life. Due to an early age divorce, my credit was crashed before I could ever use any. I [paid off the debts, only to be denied loans. i decieded that this was a classist system, designed to keep the poor, poor! I was determined that I would have things, just to DESPITE the system. and I have done just that. But….there are many skills you must have, Like being able to restore cars. Knowing basic electronics is helpful. I get a great deal of joy taking something someone else has thrown away, and restoring it. this is true of my pickup, all the way down to the can opener in the kitchen. I am able to rebuild a lawn mower engine one day, and tune our piano the next. I have always thought that I have more actual wealth simply because my things are paid for. sure, my 1984 ford truck isn’t as flashy as the lexus next door, and no doubt, they look down on me, but I don’t care. They don’t feed me anyway. For example, I have probablly less money in that pickup than two payments on that Lexus. That allows me to put the rest of the money in my pocket for other things. But be forewarned people. If you live a frugal life, being recorceful, people will shun you, and act like you are doing something criminal. That is simply because most people are incapable of original thinking, and what I am doing should not work in their eyes. Fair issac and FICO is not fair, and I abandoned that scamming system years ago. I am glad I did. But things are coming home to roost. The Big three is in trouble, because there is not enough of “tier 1” customers to keep them going anymore. I have never went to the dealer to buy a new truck, and never will. let someone else make that mistake, and I will restore it ten or fifteen years later, and drive it for another ten. I need transportation, not a social statement. It takes knowlege, and most of the “how-to’s is somewhere on the net. We have been living without credit cards for about 2 years and it is much better. You may not be able to buy that nice tv set right away, but when you purchase it it is paid and you do not have to worry about paying it back. It allows you to put priorities on your purchases and make smarter decisions. You are free…. I have not had a credit card in 15 years and bank account is so fat. My debit card is my credit card!!! Coming in late on this thread…personally I think most people get it wrong in thinking that the key to getting rid of credit cards is to cut them up and pay them off. I think the crucial element is first to learn to live without them. To do that you need something to take their place, and that’s usually savings. If you have a ready pool of savings you won’t need to use plastic when you need something that’s outside your payroll budget. It’s possible – back in the 80s we’ve lived without credit cards until we had real job and some money in savings before the banks would even give us a card, and no student had one. But it is much less convenient. Whatever people say about debit card security and no liability the basic fact is that the the money is gone from your account. Sure, as soon as you find out about it and if it is a fraud, you’ll get your money back. But in the meantime, you are out of money and some of your automatic payments may bounce. Grace period allows for a little extra interest. Not to mention the ability to deny payment if the merchant doesn’t deliver the promised goods. Plus some cards automatically double the warranty. So credit cards are more convenient. It may be helpful in case of (real) emergency until one has enough in savings. When I think about emergencies, I mean serious things like some serious medical bills. How many of the posters here have enough in emergency fund to, for example, cover $1000 every 3 weeks in 20% co-insurance for chemo? Add to it a few thousand for a pet scan, cat scans or surgery. An (insured) friend of mine ended up with some mid-five digits in credit card debt after her husband’s bout with sarcoma. She did some shuffling between 0% cards until she repaid it in full. There are plenty of people who have financial freedom and use credit cards. Depending on your definition I may have it and I’ve used credit cards all my life though I’ve always paid in full. I would imagine that people who don’t understand that credit isn’t equal to spending money should forgo credit cards. But there is no reason those who pay balances in full can use cards and still have financial freedom. As most people don’t know, each transaction involving debit card used as credit costs the retailer the same 3% as with credit card. I think, there is some fee if you use it as debit as well with the difference being that if you use it as credit, 3% will go to Visa/Master card companies; otherwise, it would go to the bank. This is how Visa and Master Card companies make money. They aren’t involved in lending, i.e. they don’t set interest rates or late fees or rules – all of this is done by the banks that issue credit cards, and they couldn’t care less if you use Visa or MC branded credit card or debit card (used as credit). It always amuses me how people say that they don’t want to deal with credit card companies because of the lending practices when these two purely credit card companies have absolutely nothing to do with lending. Are you aware that banks that repaid TARP ended up paying the equivalent of 20% interest on the money? This includes interest and stock warrants repurchase. Does it sound like no return to you? Banks that still have the money are paying interest – it may seem small interest to you (5% for first 5 years and 9% thereafter) but it is a whole lot more than the rate at which the government borrows at. And there are also stock warrants. That is good advice, IMO, and something rarely talked about on PF blogs as far as I can tell (maybe because people don’t want to advertise that they keep cash in their homes). I have much less than $1,000, but I do keep some cash tucked away for emergencies in the event that my credit cards or checks would not work when needed. I count it as part of my emergency fund. I have never needed a credit card. I only made 2 exceptions (1 was years ago and I no longer have it.) The concession I make now is that I have Care Credit, because I have a terminally ill pet who is doing fine now, but requires follow up care and medications adn testing that are outside of my ability to pay. I pay about 5 times the minimum every month on it. If things get better for me, I’ll ditch it, but for now, I need to have it to ensure my pet has a good quality of life. I also have a mortgage. Other than that, I get by fine with cash, debit card, and personal checks. Another backup is to use the envelope system. If you go through bank issues like credit unions closed for weekends, you have all the money – and then some – to get you through until Monday. Yet another… keep $1,000 of your Emergency Fund in cash somewhere in your home (such as a fire-proof safe) so if you ever need access to Emergency money, you can use this and not have to borrow/pay interest. Given the options… I would much rather fund myself. What about you? I think it is important to remember that a debit card is not a direct substitute for a credit card, especially in the situations described by Dan. A debit card backed up by a fully-funded emergency fund (as I think was matt’s point) is an excellent substitute for a credit card. Dan, I can understand your feelings of not wanting to be in an emergency situation you can’t get yourself out of. Good planning is better than a credit card. 1)A substantial car repair fund is better than debt. 2)An emergency fund is better than a credit card for getting through unemployment. 2)Accounts with different banks with debit cards attached to each account give the redundancy to protect against system problems. Each of these situations are predictable and with proper planning you don’t have debt compounding the problem. Glad you are rebuilding your finances. Live without one? Possible, sure. I’ve done it. And I don’t want to do it again. A few years ago, my checking account at my credit union was compromised, and my entire balance was wiped out. Even though my credit union put the money back very quickly, I didn’t know about the compromise until late Friday night when the transaction was declined. This CU didn’t have weekend hours, so I was screwed for the weekend. Never, ever, will I ever let myself be put into a position where my access to cash (or any financial transaction) is subject to a single point of failure. I once damaged my car while I didn’t have credit. I was at the mercy of the repair shop to take multiple checks that he would cash each payday. Thank god for him. When I started grad school, I had to get some car repairs done so I could drive it and a U-Haul trailer across the country. Repair bill was larger than I thought it would be, and when I got to my destination, I needed even more work done. Because I had a credit card, I didn’t have to sweat it. More recently, I lost my job. Immediately after that, I obtained a credit card that would give me 0% APR on new purchases for a year. Made job hunting much easier — especially when one company wanted me to charge a $1600 plane ticket that they would reimburse me for. I’ve lived through trashing my credit, losing access to all of my cards, and slowly building it back up. I will never, ever put myself in a position again where I can’t access credit. For true emergencies/necessities, the interest payments I have had to make are well worth it. Credit is an awesome tool for those who can manage it appropriately. It can ruin your life if you mismanage it. I definitely think it’s possible to live without credit cards. We are trying our hand at that right now. We kept saying it was for “emeregencies” but had never actually used it for such since I first got it 8 years ago. I’ve even been through a job layoff and unemployment during that time. Meanwhile, we kept putting piddly purchases on the card that should never of been bought in the first place. I paid our card off last month, we cancelled the account and I chopped it up! Now we are cushioning our savings for the “emergency” and will rely on ourselves to get us out of a crunch! Hey Karim: Good insight man. A few weeks back I wrote an article about this very thing. It is all about perceived “rewards” and the true cost of using credit. Kudos to you for trying to make a difference. If more people use cash and debit, less retailers will be forced to accept credit and thus raise costs due to higher interchange fees. I’ll tell you what annoys me. As most people know, each transaction involving a credit card costs the retailer 3%. Any smart retailer is going to pass along this cost to his customers. What this means is that regardless of whether you pay with cash or credit or debit, you always have to to pay that 3% premium. I wish there were more options on getting cash/check discounts from retailers. So far the only ones I see willing to take cash is mechanics doing small jobs. Whenever I shop at small and independent shops I’ll always pay in cash or debit because I know they’ll get to keep more of what I pay them. This is my secret way of getting back to the banks. Storch Money – personally, i just keep one card and I enjoy the freedom of knowing that if they piss me off (like we’re hearing they’re jacking interest rates across the board? My card didn’t do that, and if they did I would cancel it.) I can cancel it without it being a big problem. of course, personally, to give up the credit card I’d have to switch banks – the reason I got it in the first place was that my credit union has a really low daily debit limit & I kept bumping into it. Yes it is possible to live without a Credit Card. Persons who are addicted to it will say no but if one is looking towards achieving financial freedom he/she has to forego Credit Cards. My wife and I are using cash and debit cards alone. We stopped using credit cards about 10 months ago and have never ran into a situation that “put us out” because we didn’t have one. 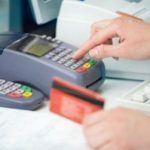 Debit cards and cash are perfect alternative solutions if you are either tempted to abuse a credit card, or if you are looking to move away from the industry that we have had to bailout. Also, we use spending journals and also just implemented the cash envelope system and find it curbs our spending SOOOO much. Every time we go to spend we stop and think, “do we really want to use up our envelop money on this?” And the answer is usually “No.” Unless you have used the cash envelope system you may not realize how effective it is in curbing your spending… I encourage you to try it out! In my entire lifetime of having credit cards, I have never carried a balance from one month to the next. I treat them like debit cards — automatically paid off in full every month. Is there a solid case to be made that this is more dangerous or a worse idea than using debit cards only? I know Dave Ramsey say credit card companies are evil, but I found that it is materially easier to check into hotels, etc. with a credit card. Assuming that I know myself and have zero risk of being tempted into spending money I don’t have, is there any tangible advantage to abandoning credit cards in favor of debit cards? If you use a PIN number for the transaction the charge does not have “zero liability.” As long as a crook (or your family members) doesn’t get your PIN, you don’t have to worry! Living without credit cards is possible; everyone talking about debit cards proves it. I travel extensively and have seen people without credit or debit cards rent cars and get hotel rooms. It’s a hassle and you need lots of cash, but it is possible. If you use a PIN number for the transaction the charge does not have “zero liability.” As long as a crook (or your family members) don’t get your PIN, you don’t have to worry! Living without credit cards is possible, everyone talking about debit cards proves it. It’s crazy how fast credit cards became “necessary” – I don’t think my parents ever had a card until the late ’80s, and I know my grandparents only ever had store charge cards (Sears, another local department store). Once lots of people started getting cards, it got harder for people with no credit card – and also the credit cards pushed into other markets. Instead of getting small business loans, people funded small businesses on credit cards, instead of companies having a corporate credit account they started expecting employees to front expenses on their own credit and be reimbursed. Sure it is, but it’s going to be difficult as hell. Besides substituting for immediate payment, you lose the conveniences, and the ability to make a move instantly. I’m 27 and I’ve never had a credit card. I have multiple debit cards though (local bank, online checking for my business, and paypal debit) none have a daily limit other than the amount of money in my account. I’ve never needed a credit card. I don’t believe credit is always bad, I have student loans I’m getting close to paying off. I see myself getting a mortgage in the future and if I could drive (I have a serious vision problem) I could see financing a car. However I see no point in buying smaller purchases on credit, I save for them instead and I may get impatient but I can live with that. The stress I prevent having fewer bills is worth it. I used to work for a bank in marketing and also managed electronic banking. When there is fraud on a debit card the bank puts all of the money back in the account immediately. Then, like with a credit card, they close the account and open a new one. 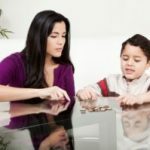 You may need to talk with your bank about daily limits to get them to raise them in advance of major purchases, but it is really not a big deal. Banks would love for you to have a separate account that does not have huge money in it so that if a card is compromised they don’t loose as much money, but it is really your choice. I’m another debit card only user. I closed all of my major credit cards within the past couple of years. It didn’t seem to impact my credit score any (unless it dropped to 814 from 830 or something). In fact, I was able to finance two homes last fall when no bank was supposedly lending. I rent cars and hotels without a problem as well. I have a little concern about the horror stories about someone wiping out my account. I only keep about a month worth of expenses in the account and have a pretty large emergency fund. My thought is that I can weather the storm while it’s getting sorted out. @ Mr. Not the Jet Set – Thanks for clarifying. That is honestly one thing that has been stuck in my head b/c I heard it from the beginning and so I always blew off using debit cards because of that! Awesome everyone! Keep the stories coming! People NEED to read this kind of stuff! My experience is that those statements are absolutely false. Perhaps these were true once upon a time – myths have to come from somewhere. But today – totally untrue. Recourse – Go read VISA and MC’s liability policies (they are the same as for debit as credit and have been for years). The onus is on your bank, not you. Wiping out the account – Call your bank about their daily limits, many have one amount for ATMs and another for retail purchases. Experience – When the Mrs. used to travel and had a corp. card, she had fraud on both it and our debit card – repeatedly. Our bank (BoA) was far better to deal with than the corp. card. More recently, we found that our local bank reps are absolute ninjas when it comes to fraud on our debit card. You hit it on the head when you said you’d be surprised at what you can do if you absolutely had to. For all the debit card users out there (I hardly ever use mine) I hear all these concerns about if someone gets your # how they can totally wipe you out and you don’t have much recourse like you would with a credit card. Is there any truth to that? What has been your experiences? I have not used a credit card in ages (7+ years). Debit card all the way. Refinanced the house recently and my credit was near the top end of the range. Probably because I have everything electronically paid on time automatically. Not only is it possible – it’s easy. Just use a debit card. I rent cars, shop online, check into hotels all with a debit card. Q::Can we live without credit cards? A:: Absolutely! The Mrs. shredded hers ~5 years ago, and me…. well, I never had one. GASP! We don’t miss out on anything due to not having them. We can go to the aquarium on a Tuesday – they take cash. We can shop on-line, off-line, and in-line – debit cards can handle your electronic spending needs. We can even rent cars and hotel rooms – just transfer some cash from the emergency fund over to cover the hold. I think Matt is trying to get at whether itâ€™s realistic to do given our current society. @Baker: Yes partially. And also to appeal to the wisdom of people and to encourage them to think for themselves. I think the a â€˜take awayâ€™ from the post is that if you are unhappy with the way things are going, you can choose to make a change. Iâ€™m not going to complain about though Iâ€™m going to spend less than I earn. Iâ€™m going to pay off my debt. Iâ€™m going to focus on my family and friends and get by with CASH. @Jeff: That embodies the heart of this post, nicely put. Yes, it’s absolutely possible to live without credit cards! We do. And when we hit a rough financial patch, we don’t even think of getting a card. We become resourceful. In fact, we are working to become completely debt-free (on less than a median income). Anyone that is truly interested needs to check out Dave Ramsey. No more playing with snakes for me! As for emergencies, a separate emergency fund linked to a debit card can work just fine. Yes you can live with out credit, I have been doing for quite a while now. I think the a ‘take away’ from the post is that if you are unhappy with the way things are going, you can choose to make a change. If you think the bailouts have helped the banks and screwed you, don’t use those banks or credit card companies. We are the only ones who can make the change. I personally hate that we are not going to see much, if any return from our tax payer money. I’m not going to complain about though I’m going to spend less than I earn. I’m going to pay off my debt. I’m going to focus on my family and friends and get by with CASH. The only problem I’ve had in the last 20 months of living with no credit cards was renting a car the other day. Sorry Baker, no other issues here. My husband has been living without a credit card and overall he’s fine. Sometimes he does have an inconvenience, but he has managed. One example of a debit card being inconvenient is when he went shopping for the engagement ring, he couldn’t buy it with the debit card because it was over his daily withdrawal limit. We do use a credit card ( I have one) occasionally and then we pay it off in full. I’m not sure this is a matter of whether it’s *beneficial* or not. That’s been hashed a lot. I think Matt is trying to get at whether it’s realistic to do given our current society. I know firsthand that it *is* possible, but there are definitely some hurdles. We’ve been able to use debits even while traveling overseas fairly easy. I’m interested to hear what hurdles people have actually bumped into. For example, every always brings up CAR RENTAL as the end all be all. Besides that one fall back, are there any other issues people run into? I think it is possible but why? Having good credit can help in many ways, even if you don’t use it often or with a lot of purchases, there is no reason to not have any at all. Even having one and just using it for a Netflix subscription each month can help out in the long run. Plus you may not always have cash at hand, having one for emergencies makes sense.